The boys volleyball and girls lacrosse teams will welcome new head coaches this spring as Alex Jones and Alyssa Dunlap take over the reins in their respective sports. Jones will take over boys varsity volleyball; last year he was an assistant coach. He will continue as the varsity girls assistant coach. Jones played Division 1 volleyball at Cal State Northridge and the University of Hawaii, as well as for the USA Volleyball Junior National Beach Team. On the coaching side, Jones led the bronze medal winning team at the Junior National Championships, as well as the boys and girls championship teams at the Beach High Performance Championships. Upper school athletic director Dan Molin is delighted to have Jones stepping up. “I’ve been involved with volleyball most of my life and I can say with confidence that Alex is among the finest young coaches I’ve seen,” he said. Dunlap also brings an impressive resume to her new role as head coach for girls lacrosse. She led her high school lacrosse team to three straight Pennsylvania State Championships and was a two-time first team High School All-American. She was then a four-year starter at Vanderbilt University where she was an All-West Region selection and named to the All-American Lacrosse Conference first team. Boys volleyball opens its season at home against Monterey on Feb. 28, and girls lacrosse opens at home against Mitty on March 10. 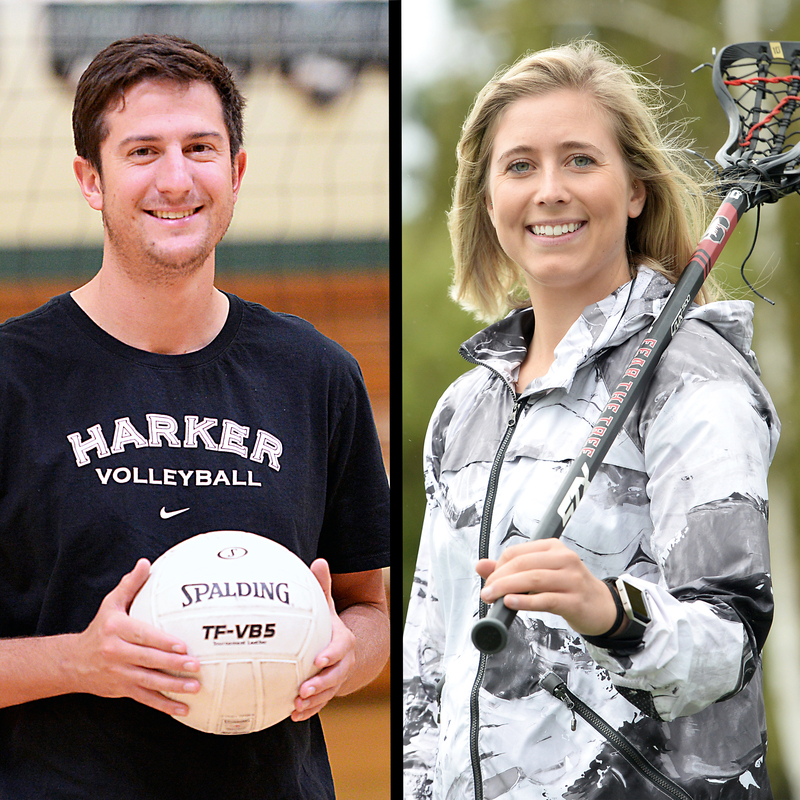 The spring season is still a ways off, but the excitement is already high for the two newest Harker head coaches. Go Eagles!